Race season is just about to start for me and it has been over 6 months since I’ve written my last blog about my thoughts of the 2017 season. So it is about time I will update you about what I have been up to for the last few months and what my plans are for the next period. my level was at, and what would be realistic goals for the 2018 season. After a lot of thinking, I chose Challenge Roth to be my A race for this year, where I want to try to crack the sub 9hr mark. I was about 10min off in Almere last year, so why not give it a try this year? However, the race in Roth will attract a big field of some very fast girls, but with my own personal goal going in, I am actually just really looking forward to that! Leading in to Challenge Roth I will do 2 half distance Challenge races: Salou and Heilbronn. Also, I will try to defend my titles in Bilzen (this weekend!) and the Dutch championships at Nieuwkoop and will make my appearance in the Dutch premier League in Amsterdam. After Roth I have planned to do another Premier league race in Klazienaveen and will race Challenge Prague as well, since my parents will be there for their summer holiday. After that, things will be open and depending on how my race in Roth went, I will decide what I want to do. So we will see about that. Lastly, I want to give you an update about a new sponsor. In March I signed with 2spokes wheels (www.2-spoke.com ) to provide me with a brand new set of the fastest wheels out there at this moment. Last year I borrowed a set of wheels to race with during Challenge Almere and with a 4.44hr bike split on a rainy and windy course; I have to say they were amazing. So I am happy to be riding with the 2spoke wheels all season. 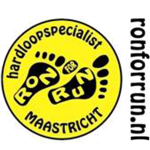 Also, Fusion (www.fusionsports.nl), Sailfish (www.sailfish-benelux.eu), ikwilsportvoeding.nl (www.ikwilsportvoeding.nl) and ronforrun (www.ronforrun.nl) will still be by my side for this season. Thank you for your support!